It is looking a little bit arid around here at the moment. Not a lot going on. Here’s a bit of virtual spindrift for you. Part of the reason things have been quiet is that I’ve been busy elsewhere… I am writing a semi-regular web column for Singletrack magazine. My first was on the joys of a doorstep, post-work ride in the daylight. My most recent has been about the lure of the mountains. While you are on the site, check out some of the other great new columns. I’ll also have a few words in forthcoming magazines, including a classic ride and other bits and bobs. I’m also working on a few creative projects connected with fell and trail running, but can’t say too much about those at the moment, other than I’m really excited about them, and I’m looking forward to seeing them come into fruition. 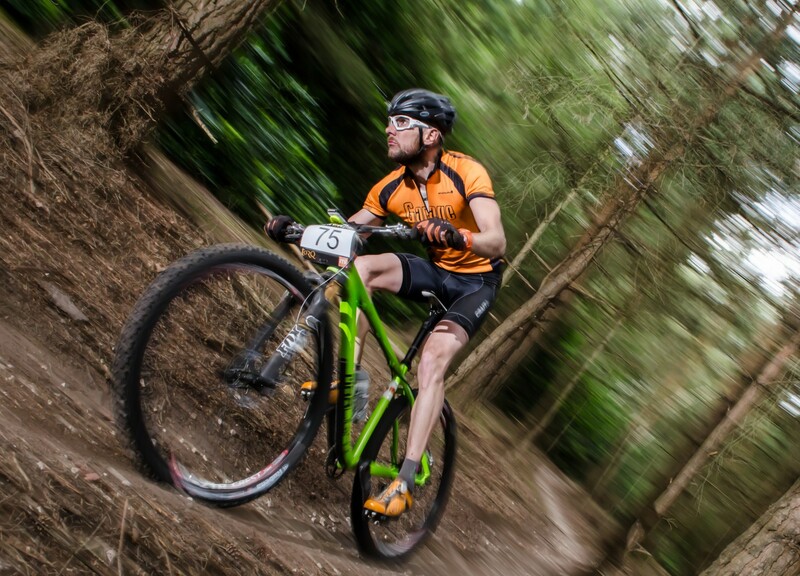 Race-wise, the calendar is fairly empty until next January – I’ve had my entry to The Spine Race accepted for 2016. I’ll be doing the mini version – “the challenger”. This is still 108 miles of fell running on the pennine way, continuous, in mid-winter, with a substantial kit requirement. Not to be sniffed at or underestimated, but pretty exciting. I can’t wait. I’m on the bed, legs covered by the duvet, feet sticking out the end. The nooks and wrinkles, under my toenails, the cuticles are stained black with mud. I did (kind of) wash them in the shower, but I was cold and just wanted to stand in the jet of warm water, carefully keeping my still icy hands out of the stream. The temperature differential meant the water felt boiling, and I did’t want to risk chilblains. It was an interim stage in finding warmth, quickly followed by dry merino and a down gilet. Now, warm, fed and sipping a mug of tea, I can allow post-exercise hormones to wash over me – less frenetic than the water tumbling out of the shower, more like sliding into a deep, warm bath. Contentment that I can only achieve through aerobic exertion. 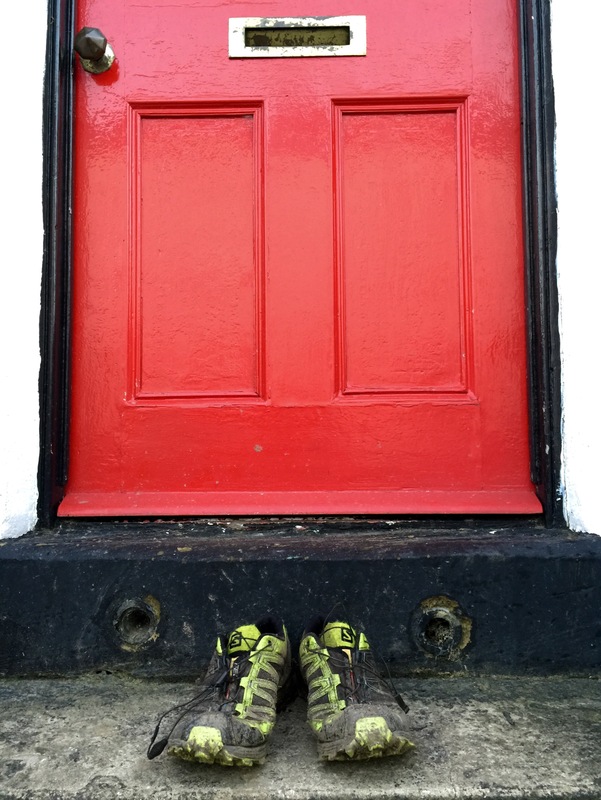 We have had an active Christmas – a mini-break in the Lake District spanning the 25th itself involved mountain biking, hiking and running in near-desered hills. Upon returning to Leeds, I have had solo rides, rides with friends, rides with Jenn. Each has had a similar feel, if a different route and different company. Pace has been relaxed, and duration squeezed into daylight hours – usually after a luxurious lie in. A couple of days ago, tucked up on the sofa with a beer and a laptop, I was catching up on film-based inspiration, playing Vimeo and YouTube hopscotch, clicking from a backcountry-skiing video to a Himalayan mountaineering one, to another trail running on pristine desert tracks. Sitting in a small front room, in a small terraced house, on a small backstreet, in a suburb of a city in northern England, I felt a yearning to be out “there” – anywhere. There was maybe even a pang of jealousy, as I sat watching these people completely immersed in their chosen pass time. I clicked on a series of videos on the Arc’teryx website. As well as making very posh, very expensive outdoor kit, they have some excellent quality media content tucked away on their small corner of “http land”. Justin Lamoureux is a backcountry snowboarder, living in Squamish. After travelling the world ticking off “must do” locations, he realised he was neglecting his own backyard, and decided to set aside a season to ride all the mountains visible from his house. Riding with friends a few days ago gave me the chance to see my local trails with fresh eyes, share my enthusiasm for “the good bits”. We managed to string together a 25 mile loop with minimal road riding, right from home. I can hit off road trails within minutes of closing the door. Not only that, they are fantastic trails – real quality stuff. Admittedly they aren’t in the best of nick this time of year, but it just means that I can appreciate them all the more come spring. There are still trails that I haven’t explored. On today’s run, I took at least two minor detours from my usual well worn path. Road riding with Jenn a couple of days ago, I was on an under geared SSCX bike, it forced me to look up and around more than I usually would. Bare trees and bushes allow for a longer line of sight than summer. I spotted paths to explore – a few were the best kind, little snickets tucked against the wall of a house or barn, begging to be investigated further. So, this year I will be starting my own backyard project. I will be taking the time to appreciate what I have available to me on the doorstep. Fun powered by nothing else than my own steam. I will shut my red front door, and keep exploring locally. I will be recording my experiences here, on instagram with the #fromthefrontdoor hashtag and keeping a track on the actual routes via Strava. I will savour the moments of solitude that a few square kms of woods can provide, even when it is tucked on the outskirts of a busy city. I will appreciate the joy that can be achieved by sharing the best experiences with friends. I will deliberately get lost, I will have to untangle myself from brambles, I will ride through dogshit, I will plunge into muddy puddles, I’ll discover dead ends. I’ll also touch history, take the time to stop and look, I’ll watch red kites watching me, I’ll hopefully find some gems of undiscovered trails, be able to increase the variety of “getting from here to there” options and find new “theres” to get to. Realistically, I’ve been doing this as long as I’ve been running and riding – it is nothing new, and hey, if I didn’t I wouldn’t get to ride or run a tenth as much as I do. I just want to take the time to document it, both mentally and in cyberspace, to take a step back and appreciate what I’ve got. I want to make sure I don’t get stuck into the routine of doing the same rides and runs, forever taking the same path. I’ll also climb into the van with riding and running kit. I’ll visit new places, I’ll savour being in hills, mountains and wilderness. I’ll travel shorter distances, to friends’ houses, to Garage Bikes, to ride the trails that are out of their front door. I will, however always come home. Local runs, rides (both road and trail) will not be training for the next adventure. They will be the adventure itself. I’m not the first person to use the hashtag #fromthefrontdoor, and I’ve no intention of being the last. I’d like to extend the invitation to all my blog followers – show me your local trails. That patch of woods that you run past on the pavement? Go and explore. The left hand lane, when you always take the right? Take the left. The esoteric crag at the back of the guide book? Go climb it. What are you waiting for? Crack on. I leave the security of our pits. The fluorescent glow of the Garage Bikes orange gazebo is unmissable, but I won’t see it again for another hour and a bit. I push a too hard gear – a symptom of the final downhill at the end of my previous lap. I quickly flick through gears, feeling my freshly lubed chain skip up the sprockets. Spin. A shiver passes over me – again a hangover of a long descent and a few minutes of rest. The course meanders, maximising pit space, I sweep through, acknowledging the friendly shouts and support. I want to stop and chat. I don’t want to stop and chat. I can’t stop and chat. The mellow start ends abruptly. Greasy, awkward rocks create a tricky and technical climb. It is only 20 metres or so long, but it is a rude awakening. Attack, spin, adjust weight, push bike forwards, shift my weight back to maintain traction at the rear. Later on in the race, my efforts are rarely enough. I’m two moves behind. My success rate drops from 75% to 50% to not attempting it. Walking is just more efficient. Efficiency is good. 20 metres done, but a mental leap taken. I’m now out on course. Snaking singletrack climbing kicks up rudely after a claustrophobic tunnel. Again, I can trace my physical deterioration as the race draws on. Seated climbing becomes an out of the saddle effort becomes a 10 metre walk. Back on to wider track, steep and loose. I can describe the minutiae. The sand, the right line, where the rocks are, the colour of the ground, the sound Rideable, even when exhausted, but requiring concentration, requiring effort. I don’t have much more effort left to give – except I do. Each time round, I do. Respite – horizontal, gentle descent. Enough time to regain composure. Earworms twist and play in my head. Never the same song, never a full song… just half-remembered choruses and lyrics. 5 seconds of guitar riff. Every lap I forget. Forget what is coming next. A reflective yellow sign reminds me, I hate that sign. Enough time to shift half a cassette block before a tight hairpin left and then a few more gears as I start the steeply ramped singletrack climb. The surface is white-grey, much like how I imagine my face is as the moment. Useless legs turn, but I’m barely moving forwards. The gradient mellows, but only for long enough to allow me to look up at the steeper finishing ramp. Topping out reminds me of being a child doing my “lifesavers badge” at the local swimming pool. Heaving my weak limbs out of the side, dragged back in by the impossible weight of sodden pyjamas. I can’t do it. But I do. Until I don’t, and again, I’m back to walking. Slow progress is still progress. Racing tuck, elbows in, nose near stem, flat back the world rushes by as I accelerate down the fireroad. In the dark, my speed is amplified, Star Trek warp-speed special effects are applied. I don’t care about the time that tuck saves me, I care that it will save me one or two pedal strokes up the remainder of the climb. Free speed is the best kind. I start pedalling and enjoy the first few effortless turns; momentum,oh how I love thee. A few seconds later, plod mode is engaged. For the first time this lap, I am above the trees and I’m treated to a view over to Fort William in the distance. I can see riders grinding up the climb ahead of me, I can also make out the descent, and hear the squeal of brakes and the unmistakable scraping of rear wheels locking. At night, Fort William glows orange. It acts as a reminder of how close normality is, yet how far away I am from being tucked up asleep. I pass through the tunnel that marks the cross-over with the descent and say hello to the marshals. Their friendliness is welcome. My response borders on a grunt on some laps. It’s a well meaning grunt, it’s all I can manage. Fireroad kicks up again. Early on I have gears spare to drop down and spin. Later, I am already in those spinning gears. I’m not spinning. I smoother line sits on the right hand side. I stick to it like glue, except when I wander. I then curse myself for wasting more precious energy. It is at this point on my 18th lap that I look behind and see the rider in 5th place closing in on me. The are barely 20 metres between us. I’ve been in 4th ever since the first few laps. It sounds perverse, but I didn’t enter this race to race. I knew that I wasn’t very fit, I knew that I didn’t have the miles in my legs, knew that if I tried to push too hard, I simply wouldn’t be able to finish. Therefore my entire game plan was to just ride. Be conservative, have fun and enjoy myself where I could, then suffer. Block out the pain, ignore the natural desire to stop, just keep riding. Apply a bit o mental fortitude. This plan was working beautifully. The first few hours went by in a blur of sheer, unadulterated fun. The climbs were merely challenging with fresh legs, the descents were equally challenging, but incredibly grin-inducing. I spent some time riding with Greg – generally climbing a little quicker than him early in the lap (probably down to my slightly stiffer gearing), then descending away – the FF29 inspiring confidence over the rough, high-speed trail centre plummets. He would then reel me back in while I recovered on the flatter section of the course. I wasn’t racing him, and I don’t think he was really racing me. We were just riding. A few laps in, I knew the pace was a little high for me, so I waved Greg on, and settled into a plod. At some stage, Jenn told me that Greg was 3rd, and I was 4th, with a good cushion over 5th. I still didn’t want to race Greg. I still had so much to do to just finish and I was giving as much as could to just keep going. As I finished lap 17, every part of me just wanted to do one last lap. One to say thank you to the marshals, one to wave goodbye to each climb, each slippery rock, one thank you to each berm, jump and drop. 5th place had been riding well though, and I’d been resting longer between laps. He was catching me. Slowly, but very surely he was catching me. He arrived in his pits as I left for lap 18. I was almost certainly going to have to do two more. I didn’t want to race. Even with two hours to go, I didn’t know whether I’d be able to get around two more times. It felt so long, so far, so much. I was going to have to race. When I saw the rider (Alex Watts of Flitch Bikes), my heart sank. He caught me so easily, I was so tired, I was beat. I would have taken 5th at the start, I’d have been overjoyed, but now it felt like a failure. I stood on the pedals and starred in front of me. I willed myself not to look back until I reached the top, and treated myself to a glimpse back, expecting him to be on my wheel. He’d dropped back. Actually Further Away. My arm-hairs bristled. Something clicked – a button that is deep down, hidden. It is big, red, and has one of those clear perspex boxes covering it. It probably has a sign above it saying, “DO NOT PRESS”. I pressed it. I smiled. I dropped like a stone. He was gone when I looked back up the slope. Just not in sight, anywhere. I couldn’t relax, Greg always caught me up along the bottom of the course. I had to keep pushing. The layers that added comfort during the night were now suffocatingly hot. I fought to undo every zip while riding hard. I looked back more than I should. The view was always the same. I rode smoothly over every technical section, I caught and passed riders, I grimaced on short climbs, I raced. Final climb, just as the trail behind disappeared from view, I looked back once more, and there he was. Not close, but not far. A few minutes? Keep riding. Keep racing. Again, hairs bristled, I drank long and hard and kept pedalling. Simple… My pit stops had been getting long and lazy. I had been stepping off the bike, wrapping myself up and drinking soup. Not this time. I stopped, stripped layers, swapped bottles and went. It was afterwards that Al said, “if you’d tried to unclip your other foot, I was there to hit it back in”. I didn’t need anyone to motivate me. I knew what I had to do. I left the pits emptier than I have been for a long time, but full of purpose. Fireroad climb doubles back to sandy singletrack, stretching above. I can see snow patches on the Ben, the view on the sunset lap will last with me for a long time. The remainder of the climb looks harder than it is, but tests weary legs. Cresting, there is no time to take in the view, I click down a few gears, and accelerate into a sandy, rocky, switchbacked descent. While fresh it is a playful, fun drop. Speed can be held through bermed corners, small jumps allow me to clear rocky sections, I place the bike where I want. Later, it hurts, I don’t have the confidence to take some of the lines, it beats me up more. My forearms get pumped and I stiffen up. Much later again, I rediscover my flow, bliss. Fireroad leads to more descending, becoming more technical as it drops back into the trees. Rocks become greasier, technical sections are taken at slower speeds. Absolute concentration is required. Not easy, but while I mess up sometimes, I never crash. I contour along the valley – woodwork, more fireroad, even a section of tarmac. Generally I find it hard to push any pace along these sections. I just spin away, enjoying a mental rest as much as a physical one. The only bit of fresh cut trail lays through a small section of trees. It is muddy, rooty, slippery, and has a tricky off-camber, then fall-line descent. Every time I mince my way down, thankful not to take the same spectacular OTB that I see Greg doing early on in the race. Irish men are sweary when they crash. The course cruelly returns to the pit area not once, but twice before a lap is completed. First time, I cling to some slippery singletrack along the back of the pits next to the Team JMC and Greg’s gazebos. I always get a shout from one of their supporters. I always try to respond. Try. A short, steep climb, lacking in any redeeming features leads to a a short downhill into on the last few rollers of the World Cup downhill course. I can’t help but drop off the last of them, requiring a quick adjustment and a knee out to squeeze round a tight corner at the bottom. One last climb. But what a climb it is. Up a blue descent, up steep berms. Up through trees, up to the top. Except it isn’t the top. There is more firetrack beyond. My mind aches. Everything aches. I’ve ridden some of the final descent before. On an 8inch travel downhill bike. To be fair, the FF29 isn’t too far out of its depth. Tuck, lean, float, brake, BRAKE, turn, traverse. Final, final descent. And what a way to finish. Steep, bermed, fast, just plain fun. I’m talking to myself. Reminding myself to focus. “Concentrate Tom”, “brake Tom”, “that left hand berm is next, Tom. The run-in is loose, so brake… now”. Every time, literally every single time, I get spat out onto the final straight, looking forward to riding it again. Finish: Except this time. I’ve spent all of my last lap looking back. Trying to pedal, feeling my strength drift away. Pushing, trying to stay smooth. As I passed the arena halfway round, the welcome sight of Jenn and Sarah tell me that 5th place took a long time in the pits. I just need to keep on moving. It sounds so simple. It is that simple. It’s just riding my bike. I ride my bike. I still pedal hard down the final straight. Not because I have to, but because I want to. I want to race. I am racing. I pump through the final lumps in the course, and cruise through the railings. People are clapping, the sun is out, people are smiling. I cross the finish line and slump over my bars. I want to just find Jenn, hug her, find Al, Sarah, Amy, Ali. Hug them. I’m lost in a sea of people. I hand over my timing chip in a daze and get given my commemorative beer and hat. I think I smile. I want to sit down – I don’t have the energy to process what is going on around me. Finally, I fight through and find the people who mean the most to me. The team that “solo” racing doesn’t give credit to. We worked together, we had fun, we kept on going, we won. Afterwards: I had already decided I wasn’t going to do any more races for a while, long before lining up at WEMBO. I didn’t have the fight anymore. I don’t have the time to train. There are so many more important things in my life at the moment. I restated this to myself many, many times during the race. But, on the last couple of laps I changed my mind. I’ve rediscovered something that I thought I’d lost for good. I want to do it all over again this weekend. I want to feel the pain, feel the hopelessness of a hard night lap, I want to race again. No Fuss Events and WEMBO for putting on an incredible race. So well organised, such a good course. Perfect. Jenn, Al and Sarah, Garage Bikes, Ali, Amy, Cybi. Kinesis UK for the incredible Maxlight FF29 frame. Comfortable, light and and efficient from the 1st to the last lap. Team JMC, particularly Phil Simcock – who should have been racing elite, but broke his collarbone a few weeks ago. Budge, Rich Rothwell, so many others for their good words on course. Alex Watts for pushing me, and reminding me how to race. Garage Bikes representing. Top pout action. Picture courtesy of Kevin Sheldrake. Click the photo to visit his flickr photo stream. A week has passed since Torq. My riding has been limited to a roll down the hill to work (and a slow slog back up again after). A combination of tiredness, laziness led to a slightly extended “recovery” period. The upside to this was I was really looking forward to getting out on Saturday. With a slightly changeable forecast, and wet roads after a rainy night I decided to take the mud-guarded-up fixed wheel bike out, partly inspired by Tim Pulleyn’s recent blog post on The Broken Line. One of the great things about a long, hard race is that marginally less dumb things feel actually rather sensible. So, I mentally plotted out a moderately long and hilly route – one that I knew would be a leg tester, but fun. It was only as I got out of the house that I realised how strong the wind was. Passing the first side road on my left, I felt the force of a gust slide me over by a few inches. Lean in. Through luck, rather than judgement, my route would make the most of the prevailing wind-direction. A head/side wind for much of the way out was replaced by a regular shove in a homewards direction after a short grovel directly into its face at the top of Greenhow Hill. A weeks rest did wonders for my legs as they relished the work I was asking them to do. I felt relaxed, working with the bike, efficient, strong. One of those rare days when hurting doesn’t hurt, it just turns the volume up on the experience. A cool morning rapidly warmed up, and I paused at the top of Almscliff to stow my arm and knee warmers, alone except for a lone climber brushing his teeth next to his van, ready for an hour or two of solitude at the crag before the inevitable crowds. Turning into the wind, my legs churned, pulsing a rhythm governed by the gradient and shelter from the wind. Climbing, out of the saddle, with my body low to the bike, trying to slip under the violent gusts like a surfer diving through an oncoming wave a lone field of unharvested grass danced in pulses of swell. I was cast adrift in a stormy sea. Air rushed into my mouth before I could properly exhale, I drowned in oxygen. Royal Blood’s Little Monster roared through my headphones. Bass with volume, in all senses of the word. Audio synchronicity. Whenever I was out of the wind, I felt free. Every small undulation was attacked, as I revelled in the sweet feedback loop of having my drive being directly linked to what I’ve already driven. Pushing up to Greenhow village (via Greenhow Hill Rd, rather than the “proper” way up from Pateley Bridge), the cross wind was choppy enough to disrupt my rhythm, looking at the grass at the side of the road it should be helping me, but we are fighting each other, and I settle down as best I can. Keep churning. The hairs on my arms would be bristling with cold, were they not being blown flat on the summit. As I crest the highest point, and begin to drop towards Grassington I fought for every inch of forward movement, despite having gravity on my side. Eventually I built enough speed to punch through the face-on-onslaught. A quick left, a steep, twisting descent, and before long I’m in the quiet of the valley floor, again I’ve cast away the sea monsters grabbing at my legs and fly along the sheltered roads. By the time I’m on the back road from Bolton Abbey to Ilkley, via Askwith I had a full on tailwind. I’d become a windsurfer, skipping across the tops of waves, while my legs span furiously. I travel fast enough to be held up by a car travelling in the same direction as me. No matter, I was lost in my own world, easing up my cadence and I became aware that the sun was back out (or I’d ridden back to it) and enjoyed the heat. There won’t be many more bare arm and legs rides this year. Sitting at a red light in Otley, my legs complained about being stationary. Virtually home. My tummy felt empty, but it didn’t matter, I could run on fumes from here. And I did, with no eye on fuel economy, I just rode – with frivolous spurts of pace, joyful lazy spinning, ugly final pedal strokes on the minor lumps in my way. Home. Done. Grateful for simple pleasures.